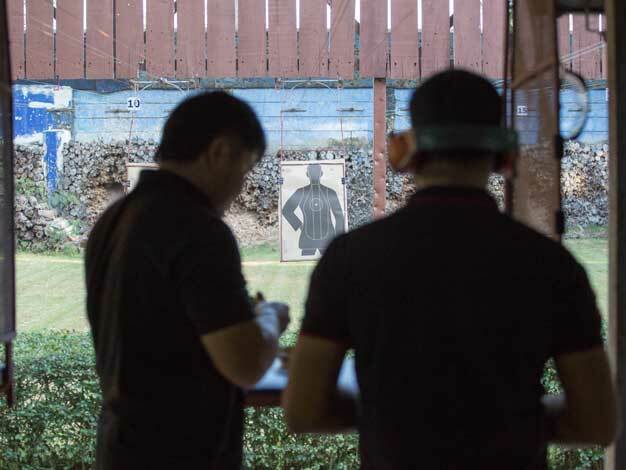 Here's by far the most popular Shooting Range in Bangkok and also with no doubt one of the best ones in Thailand thanks to its location inside an actual military school. Pass by the tanks and the troops training as you get inside the gun range, ready to get the kick by firing all type of guns from the light 9mm to the heavy, loud and powerful Shotguns. Go all in or go home. That's how we roll and what we're known for. That’s why our package includes 5 types of guns. You’ll start slow with a 9mm. Move on to Caliber .38, a .45 before you end up with a shotgun and finally a rifle. All in the same session. So you can be confident you'll get your adrenaline fix for the day! 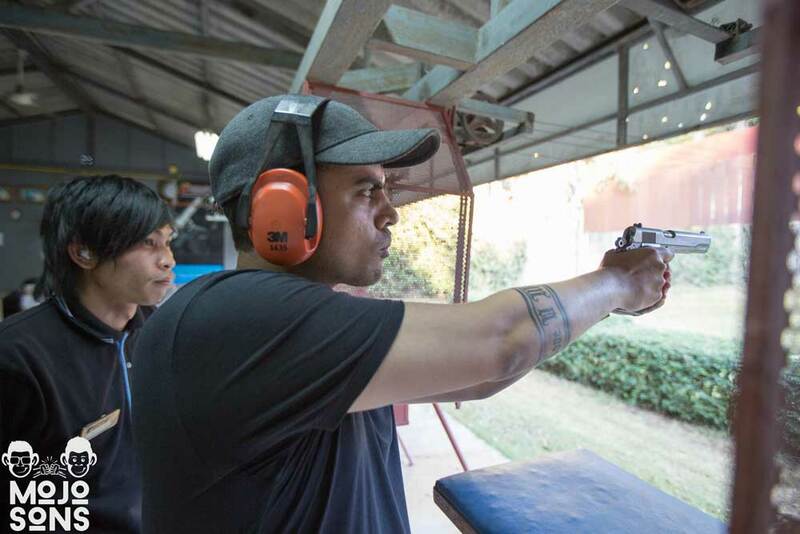 That's the best way to guarantee you make the most out of your experience at Bangkok Shooting Range. All that for only 3,500THB per person ! The activity is suitable for everyone from 20 and above and doesn’t require any previous experience with firearms. Wether you’re an amator or a pro, the skilled team of instructors are here to ensure everybody have a good time in the most safe way and will help each shooter in improving their skill during the session. 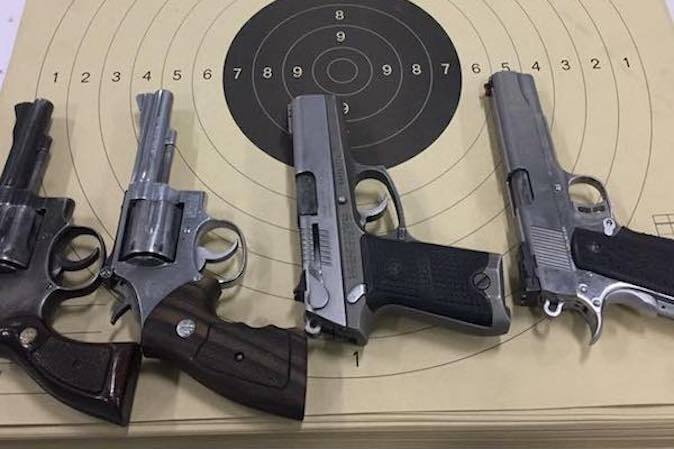 The Gun Range is located close to Victory Monument in Bangkok but good news is pickup and drop off can be arranged for any booking of 4 or more. As traffic in Bangkok can be a bit heavy, feel free to pack a few beers for the trip or to get one of our party van to party on the way. Here for a Stag Party in Thailand? While Go Karting, Flowhouse and Thai Boxing are a lot of fun, it might not be the best option if you’re were out until sunrise. Shooting guns is the perfect activity after a big night with your mates. Let the gunpowder smell wake you up and get the adrenaline rushing before another crazy night out. If you ask us, it’s also the right time to bet who’s gonna pay the next round of drinks. Let see who’s got the best experience with guns.